It’s hard to believe but the holidays are upon us once again! With that in mind, you may be thinking about scheduling your child’s pediatric dentist visit at the beginning of the new year. However, if your son or daughter has been expressing fear about going to the dentist, there are ways you can help them overcome that fear soon – through gifts! A book gift, that is. Perhaps you’ve tried telling your child that there is no reason to fear the dentist but to no avail. Or maybe your child isn’t necessarily scared of the dentist but is just not sure of what to expect. Either way, you can pick up some books that may help ease the transition. Just Going to the Dentist by Mercer Mayer: Who doesn’t love the playful drawings of Mercer Mayer? If your child loves these books, this one will make a great addition to the collection. Through a funny, honest and witty story, children can feel good about their first trip to the dentist with Little Critter. The Berenstain Bears Visit the Dentist by Stan and Jan Berenstain: Another classic, this book takes an affectionate, playful look at the family’s first trip to the dentist’s office for Sister and Brother. Perfect for preschoolers facing a cavity fill or routine dental work. 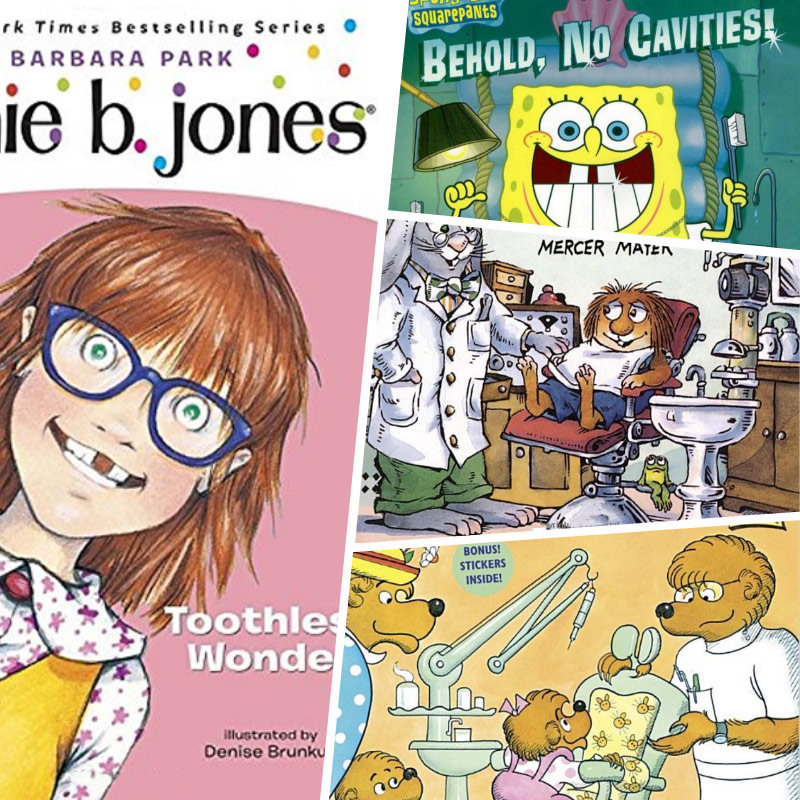 Junie B. Jones First Grader, Toothless Wonder by Barbara Park: Great for small grade schoolers, watch Junie B. as she deals with her very first loose tooth. This book explores the Tooth Fairy and fears of being toothless in the first grade. Behold: No Cavities! A Visit to the Dentist with Spongebob Squarepants by Sarah Willson: If you’ve got kids slightly older who love crude humor, you’re in for a treat with this book, where Spongebob eagerly anticipates his six-month dental checkup. Pick up one of these books for your kids this holiday season to ease their fears about this must-do task. We proudly see happy smiles throughout Central Massachusetts, contact us anytime with your questions and have a safe and happy holiday season.